The Diet Smart Plan (TDSP) is the creation of author Barry Sanders. The plan involves a series of small, healthy changes to a person’s diet that result in more significant benefits over a period of time rather than drastic measures to meet a expected deadline for weight loss goals. A typical dieter has a goal of exiting the diet as soon as possible because in their mind, a diet is restrictive. If the diet was more in alignment with their normal diet, the dieter would not want to vacate the program as quickly and desired results would happen through consistency of healthy behaviors. The Diet Smart Plan is based on the participants’ eating awareness. TDSP is calorie conscious but not concerned with more detailed nutritional aspects such as protein, carbohydrates, fats, points, or good fiber. Keeping the dieter focused on just a few simple aspects, the dieter is more likely to adopt those few healthy habits and make them behaviors rather than overwhelming them with multiple items that lead to frustration and eventually, failure. Participants are asked to stay under a daily caloric intake amount equal to 8 times their body weight to lose weight. Once the dieter approaches their target weight, they increase this to 11 times their body weight (i.e. 11 x body weight in pounds). As in most successful diet plans, limiting calories are the key to weight loss. Having dieters focused on only this guideline promotes success. Participants are asked to eat at least 5 times a day, preferably 6.This guideline prevents overeating at any particular meal and speeds up digestion. Participants are asked to weigh-in in the morning and in the evening. Having a participant monitoring their weight more often keeps the program in their minds and promotes a cycle of success where good habits are rewarded by the participant seeing the result in the scale soon after. Most low-calorie vegetables which the dieter does not count against their daily calorie limit. Because many participants do not eat vegetables at all so this is motivation for them to eat as many as they can. It has been suggested that someone could eat more calories eating free foods and gain weight, but this in reality has not been the case since participants cannot eat the volume of vegetables to gain weight. Most participants did not eat a significant percentage of vegetables in their diet prior to TDSP. In the first few days of the program, many dieters turn to free foods to maintain a full feeling while trying to stay under their daily calorie count. 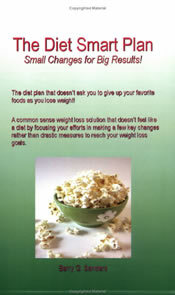 When the dieter does not feel hungry and sees weight loss, the participant changes their perception of diets. Staples such as baked potatoes, rice, fruits, lean meats. Foods where calories count against the daily calorie limit but the dieter should try to eat as much as possible. Foods that are acceptable in reasonable portions such as spaghetti, ice cream, and steaks. Foods that have low-calorie options or can be prepared in lower calorie fashion such as cheeseburgers, fries, and milk. Foods that are not forbidden just should be limited to once a week such as Lasagna. Based on a 200lb person. Prior to each meal or snack, participants “research”, or verify the calorie count of foods prior to consumption to ensure that the meal or snack fits within the daily limit providing for flexibility in many situations. After the meal is consumed, calories from items eaten including condiments and other extras to ensure all calories are counted (unless the food is a free food). TDSP is only concerned with the total from the meal, not details from individual items. The participant keeps a running total all day. At the end of the day, the slate is wiped clean and the participant starts again the next day at zero. Asking participants to wait to begin an exercise program rather than starting day helps participants readily adopt an exercise program later. Participants begin by focusing on weight loss for six weeks and then begin a regular weight loss program. The loss of weight helps participants exercise more easily and separates the concepts for easier adoption. Participants who did not have a regular exercise regime prior to TDSP are asked to wait until week six to begin a routine. These exercises can be used after 6 weeks. The Diet Smart Plan works well through dual accountability. The participant commits to having a support team to help keep them on track. In return, the support team members commit to the participant not to tempt them when dining, being supportive, and being there through “thick and thin”. I need a balanced diet chart that help me to become & keep me smart. Thanx for the info. I want to lose weight for my birthday Jan 1st I know it’s coming up so I want to lose it fast. Can you tell me if I do a protein shakes will I gain weight? Why do I retain water if I drink more than 8 glasses a day? All my weight is on my stomach so I do cardio running intervals should I exercise 6 or 7days should there be a rest day? What is the best meal plan?